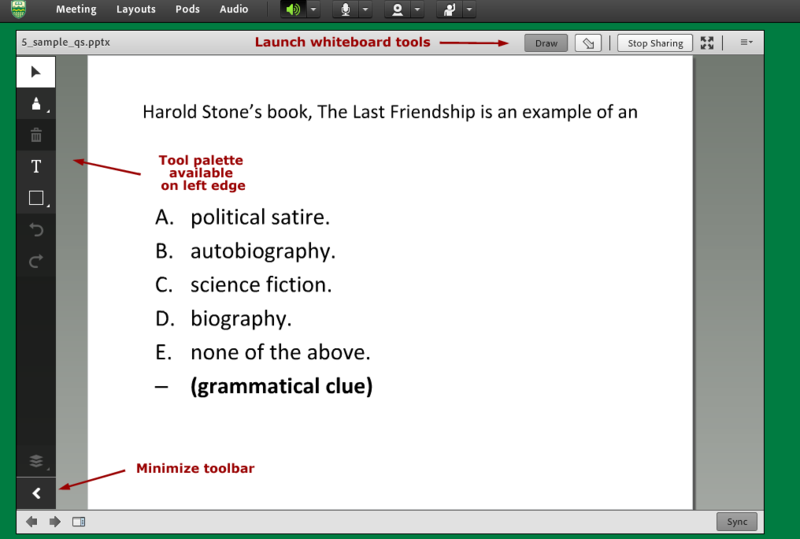 The whiteboard tools in eClassLive allow instructors to annotate, highlight, and even draw directly on pods in eClassLive. Whiteboard (drawing) functions are available directly on top of other sharing pods (powerpoint or screen sharing) and as whiteboard-only windows. These last are useful when eliciting participant responses onto a communal drawing area, potentially in a breakout room. New in Summer 2017: the whiteboard control interface received a nice re-design and some new features. Click the Draw button in the header of the pod. This will launch the whiteboard tools on the left edge of the pod. To annotate while screen sharing, click the Pause & Annotate icon at the bottom right of the screen sharing mini-controller. 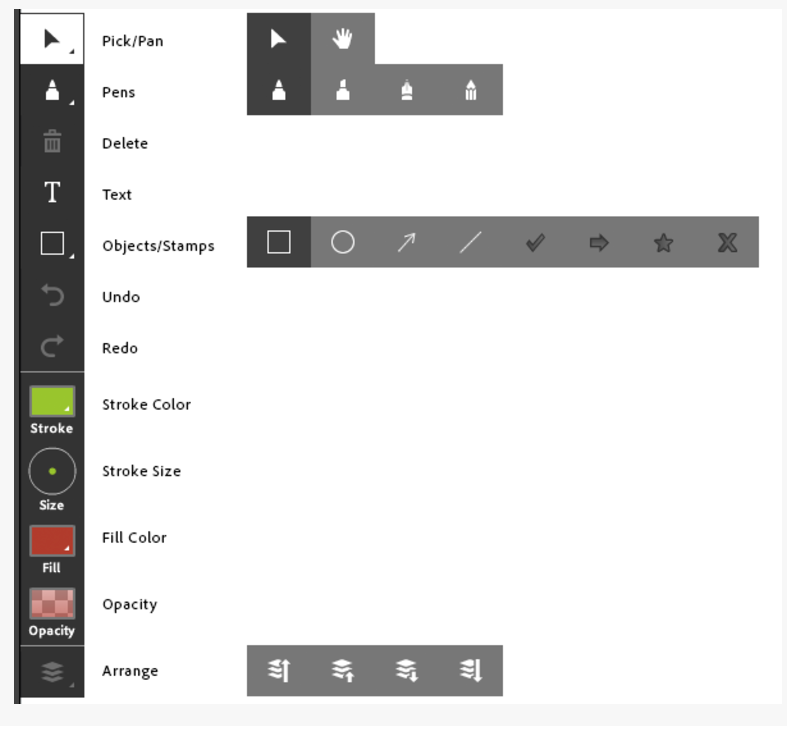 This will re-launch the connect interface with your shared content in a pod with the drawing tools available. 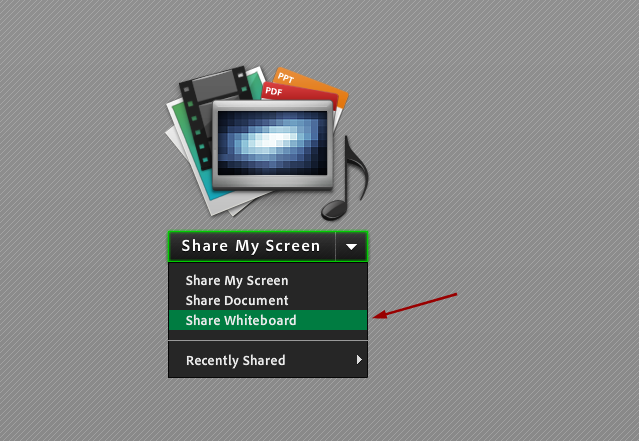 Use the centre dropdown in a Share pod and select Share Whiteboard. 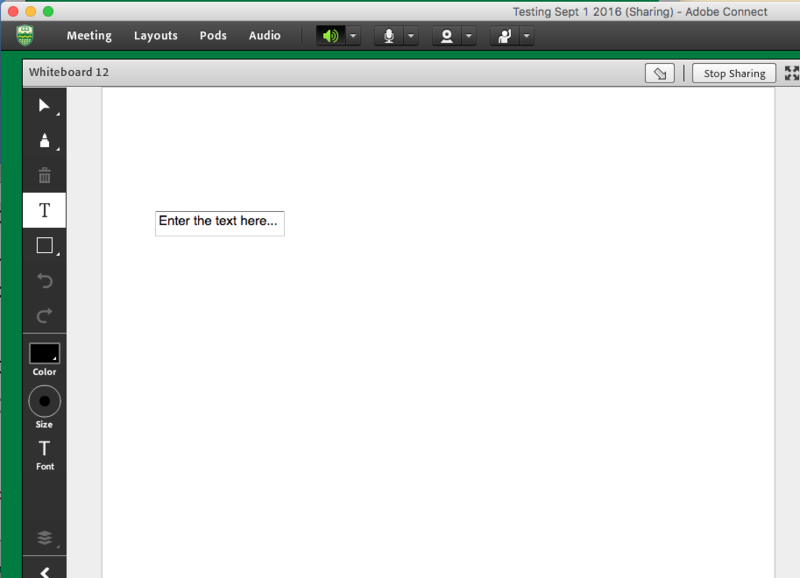 This will open a blank page with the same tool palette available. This is a common practice to set up in breakout rooms to allow participants to collaborate on the resolution of questions or problems.